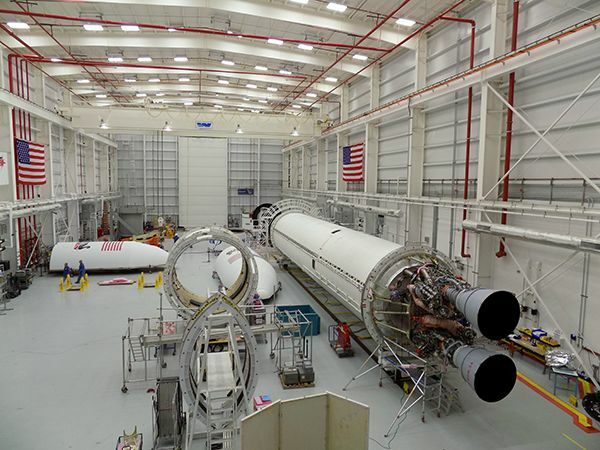 Operations in the Horizontal Integration Facility (HIF) at NASA’s Wallops Flight Facility where Orbital ATK assembles and tests its Antares medium-class rocket are in full force as the team preps the upgraded vehicle for its upcoming “hot fire” test in early 2016. 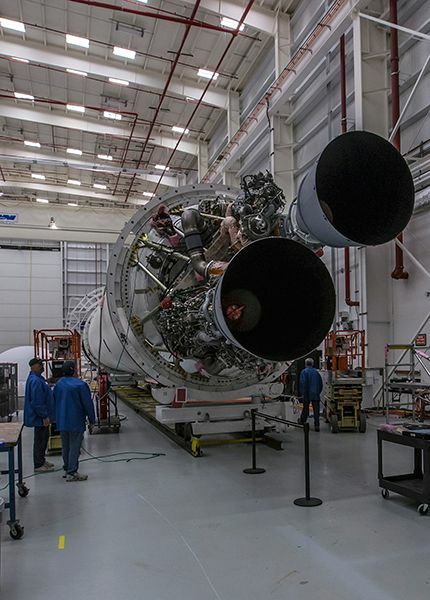 The hot fire test will utilize an Antares first stage with its new RD-181 engines to verify the vehicle’s performance and its compatibility with the launch pad, and will certify the system for flight. During the test, Antares will fire its engines at 100% thrust. 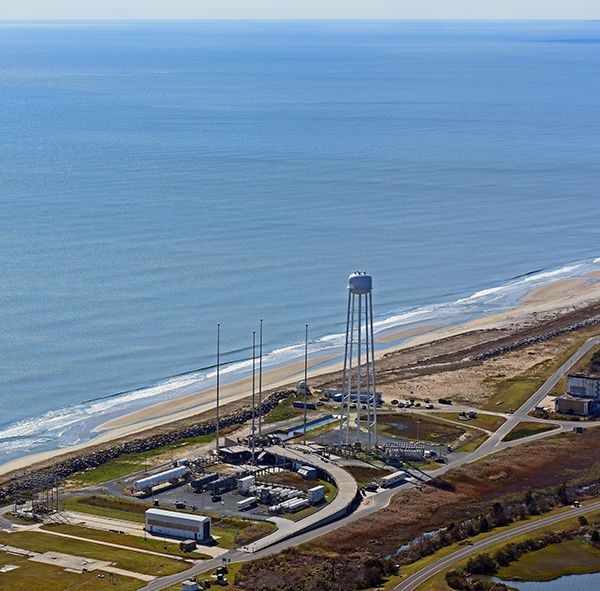 Following a successful hot fire test, Antares launches are slated to resume next year for Orbital ATK’s Commercial Resupply Services (CRS) missions to deliver cargo and supplies to the International Space Station (ISS) for NASA. All major components of the Antares hot fire test vehicle are at Wallops, including the two all-new RD-181 engines that will power the launch vehicle. The RD-181 engines completed certification and acceptance testing prior to arriving at the HIF, and now the team is busy assembling the test vehicle and verifying its systems. In order to accommodate the RD-181 engines, several modifications were made to the Antares vehicle design. Upgrades completed and installed over the summer include a newly-developed and qualified thrust adapter structure, modifications to the first stage core propellant tanks, modified engine control avionics and new propellant feedlines. In addition to the work being conducted for the hot fire test, the team is also receiving hardware for the full Antares rocket that will be used for its return to flight in the spring of 2016. The crew will be assembling that vehicle in parallel with the hot fire test vehicle. 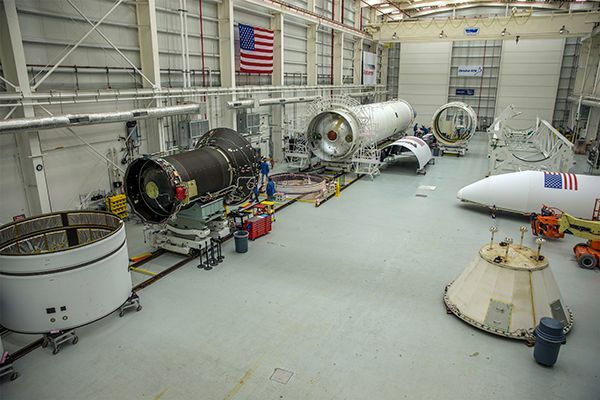 The next set of Antares engines recently completed acceptance testing and is scheduled to arrive at Wallops in December. The Virginia Spaceflight Authority completed repairs to Pad 0A at the Mid-Atlantic Regional Spaceport (MARS) at the end of September and is finishing performance testing of the new systems that were installed to support the upgraded Antares. Testing and certification of the launch pad is set to be completed this month.